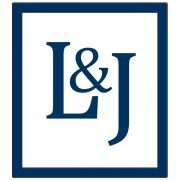 Lou La Cava and Justine Adamski obtained a defense verdict in a medical malpractice wrongful death case alleging a delay in diagnosis and treatment of a pulmonary embolism. Lou La Cava and David Young obtained a defense verdict in a wrongful death case tried in Pinellas County. The Plaintiff alleged the Defendant emergency room doctor failed to closely monitor a patient who arrived in the emergency room with atrial fibrillation and tachycardia. She did not want electrical cardioversion, so attempts were made to convert her to a normal sinus rhythm with medications. While medications were infusing, the patient had an unwitnessed cardiac arrest. While they were able to resuscitate the patient, she ended up with brain damage and ultimately died. She was 39 years old and had four minor children. The jury returned a verdict finding the emergency room doctor was not negligent.